We are very proud to introduce this beautiful Set Of 4 Flag Storage Trunks. These storage trunks have a very simplistic design, given a unique and modern pattern. 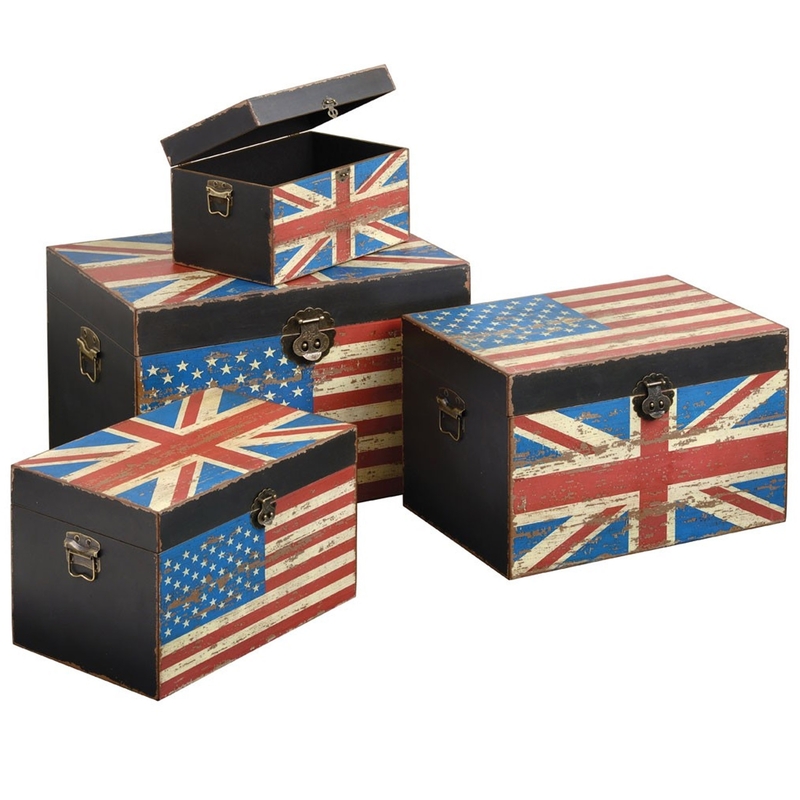 These storage trunks contain a patter containing flags to represent an Anglo-American design. These trunks are not only gorgeous, but also very practical.